Surgeons at Aspirus Wausau Hospital have been using the da Vinci® Robotic Surgical System since 2007 to offer patients the best possible outcomes. Our surgeons have performed more than 1,000 surgeries using robotics. Robotic-assisted surgery is performed by a surgeon who sits at a console controlling the movements of four robotic arms inserted through four small incisions. 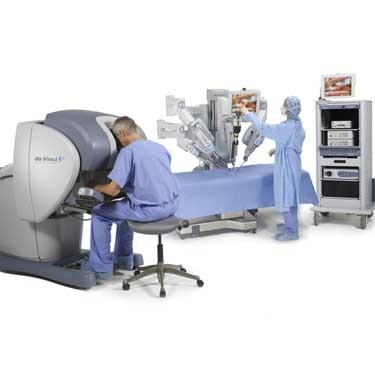 Three of the arms are fitted with a variety of surgical instruments, and the fourth controls a high-definition, three-dimensional camera that transmits images to the console. he three-dimensional camera magnifies and transmits images to the console, allowing the surgeon to operate with unmatched precision and control. At the console, the surgeon is in full control of the movement of the robotic arms. Da Vinci allows surgeons to perform procedures with just a few small incisions, rather than making one large incision. The technology also offers patients surgical options that previously were not possible for certain conditions. 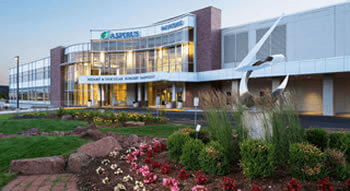 Aspirus Wausau Hospital was the first hospital in the region to offer virtually scarless gynecologic surgery using the da Vinci Robotic Surgical System. Surgeons use special Single-Site™ instrumentation to perform procedures through a single 2.5-centimeter incision through the navel. The single-site technique is used during benign gynecologic procedures as well as gallbladder surgery. If you are having surgery, ask your provider if robotic-assisted surgery, or another minimally-invasive technique is right for you.